Glass bottles. Not much to them, right? All our vinegar comes in glass bottles, classic Coca-Cola came in glass bottles, and even our perfumes, colognes, and aftershaves come in them. 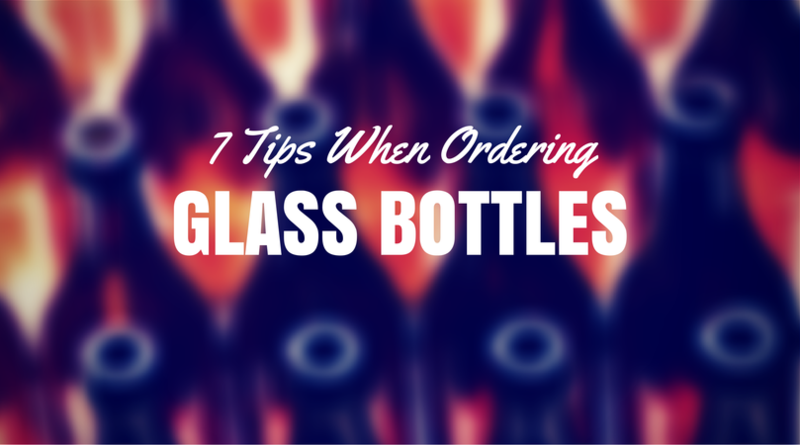 We’re experts in using them, so there’s no need to check ourselves when ordering from glass bottle suppliers, right? Unfortunately, there are thousands of people who have had to clean up hundreds of thousands of broken glass bottles because of that same assumption, and we’re here to keep you from becoming a part of the statistic with these seven checks to ask about when buying glass bottles. This may not be a commonly known fact, but when you buy a glass container it should come with the appropriate top for it as well. All glass containers (as long as they are not made custom and to extreme proportions) will come with tops and lids included with the package. If your glass bottle supplier isn’t providing you with lids, you should look for another supplier. As a buyer, it’s your right to ask about the process used to make the glass containers. You can also inquire about the materials of the product to make sure it was made in a humane working environment with environmentally friendly regulations. It’s your bottle and you have a right to know it from top to bottom. Many glass bottle suppliers offer you customization options. If you’re looking for a special bottle for a special occasion, bring it up with an associate and they should be able to point you in the direction of someone who can help you, if not accommodate you themselves. All glass bottles must pass certification tests and special regulations, so ask the provider what sort of tests the glass bottles have been put through before buying them. When it comes to glass, you don’t want to find yourself with shoddy back-alley bottles, especially if you plan to have kids around them. Your glass bottle supplier can offer you details about how to properly dispose of glass bottles. While most can safely be placed inside your recycling bin alongside the plastics and the papers, there are a few special circumstances that you should be aware of. Since it’s their profession, a glass bottle supplier will be able to inform you about proper disposal protocol if you have any questions. Depending on the type of glass you’re using, traditional cleaning methods may be unsuitable for keeping the glass bottle sanitary. Softer glass can scratch when put under the rough end of a sponge while others may shatter from the heat of a dishwasher. Make sure to ask your supplier about cleaning instructions before making a final purchase. This should go without saying, but make sure you know what you can and can’t use the glass bottle for. Standard glass bottles will pose no problem, but if you’re looking to put glass bottles under excess stress or fill them with uncommon substances, you’ll want to ask your supplier whether the glass you’re purchasing can handle what you need them for. The greatest problem with buying glass bottles is that we all know so much about glass bottles already that we forget that there are things we don’t know. This can lead us to making assumptions about what the glass bottle can and cannot be used for, and those assumptions usually lead to broken glass and wasted money. Just check your bases when buying glass bottles and you’ll be okay.